* AGT’S SEASON 6 WINNER- LANDAU EUGENE MURPHY JR.
AGT’S SEASON 6 WINNER- LANDAU EUGENE MURPHY JR.
Landau Eugene Murphy Jr. is the soul and Sinatra-singing season six winner of NBC TV’s “America’s Got Talent.” The former car washer’s Columbia Records debut album produced by Grammy winner Steve Tyrell spent six weeks at #1 on the Billboard Jazz chart. Landau’s follow-up holiday CD “Christmas Made For Two” raised thousands for the Children’s Home Society of West Virginia and received nationwide airplay including Sirius/XM’s “Holly” channel. Landau’s self-titled third album was recorded at the famed Capitol Records studios in Hollywood, CA where Sinatra recorded some of his signature classics. 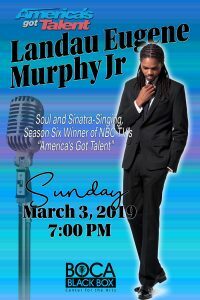 Landau has performed dozens of sold out concerts around the world, headlining at Caesars Palace in Las Vegas, the Apollo Theater in New York, The Grove in Hollywood (for Tina Sinatra), the Fountainbleu in Miami Beach, with the Boston Pops Symphony Orchestra, at the Mercedes Benz Arena in Shanghai China, and for U.S. troops stationed across Europe. His memoir “From Washing Cars To Hollywood Star” was an Amazon #1 bestseller in the Jazz Books category, and a Readers’ Favorite Award winner. This contest started on 2/21/19. This contest has a winner. This contest started on 2/20/19. This contest has a winner. * Win A $25 Batch Gastropub Gift Card. Jeff Eats got a $25 Batch Gastropub Gift Card to give to one of you guys! 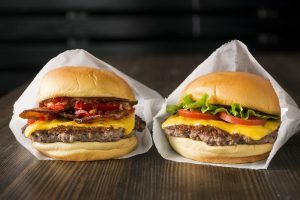 The $25 Gift Card is good at Batch Gastropub, 14813 Lyons Road, Delray Beach, Florida 33446, (561) 877-0000 and Batch Gastropub, 30 Southwest 12th Street (Brickell), (305) 808-5555. You can check menu/prices/info at batchgastropub.com. ***** Batch Gastropub, 14813 Lyons Road, Delray Beach, Florida 33446, (561) 877-0000. Got a terrific “sports bar” for you guys to checkout- Batch Gastropub in Delray Beach! Jeff Eats and Mrs. Jeff Eats “know” sports bars- and trust me on this one, this Batch Gastropub joint is good stuff! Indoor table/booth seating, outdoor patio table & couch seating, full liquor bar, tons of tvs inside and outside, reasonably priced booze, super good staff, reasonably priced off the chart delicious food, big portions, Friday & Saturday night DJ providied music! Open Sunday-Thursday 4pm-11am, Friday-Saturday 4pm-1am, Saturday brunch noon-3pm, Sunday Brunch 11am-3pm. Jeff Eats, Mrs. Jeff Eats, Daughter Jeff Eats and Son Jeff Eats did a recent dinner- and I gotta tell you, Batch Gastropub killed it! Like I said a few seconds ago, Jeff Eats and Mrs. Jeff Eats “know” sports bars- and I’m telling you guys- that you definitely wanna give Batch Gastropub a shot- believe me, it’s really that good! For the Amerigo Vespuccis in the crowd, Batch Gastropub is located in the Delray Marketplace in Delray Beach- there is- another Batch Gastropub location in Miami at 30 Southwest 12th Street (Brickell), (305) 808-5555 (which I already told you guys about on 3/19/14). You guys can check menus/prices/info (for both locations) at batchgastropub.com. ***** Batch Gastropub, 30 Southwest 12th Street, Miami, Florida 33130, (305) 808-5555. 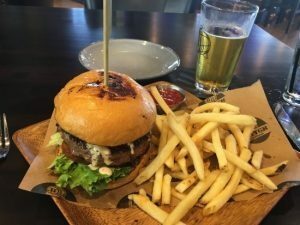 You know and Jeff Eats knows that “sports bars” are literally a dime a dozen down here in South Florida…for sure, “we’ve all been in tons of them…and I gotta tell you, I was very impressed with Batch Gastropub. For you drinkers out there…Batch has something like 15 (give or take) beers on tap, and maybe another 20 by the bottle. Just so you know, Batch’s menu isn’t exactly huge…that said, there are enough appetizers, burgers, salads, pizzas, entrees–so I’m thinking- no-body in your party is gonna have to stop at Wendy’s on the way home. A recent dinner had Jeff Eats, Mrs. Jeff Eats and two other couples “doing”…margherita pizza, cheeseburger, hanger steak skewers, mushroom crusted mahi mahi, meatloaf, gnocchi mac & cheese/carmalized onions, truffle salt & shaved truffle cheese fries…and I gotta tell you, no one-bicthed about anything. If Jeff Eats had to give out awards, I thought that the gnocchi, fries, cheeseburger were the stars of the game. Between you and me–the gnocchi was amazing–the joint uses gnocchi with gruyere cheese and for an up-charge has 10 items that can be added to the basic dish–such as chicken, steak, bacon, carmalized onions (check the menu for the full list). Like I said at the top, I was very impressed with Batch Gastropub…food was solid, service was good, prices exactly what you’d expect in an upscale-sports bar (you can fill in what you think these numbers should be)–one little draw back, the background music was a drop too loud for Jeff Eats’ crowd. Batch Gastropub is open Sunday-Thursday 11:30am-3am, Friday-Saturday 11:30am-5am. I counted 9- but only see 1- original Beach Boy in the picture, namely Mike Love! In any event, the music is infectious and it’s gonna be a fun concert! You can catch tickets at Ticketmaster.com. ***** DISH OF THE WEEK (Sunday- 2/24/19- Salvatore Pizza, Pasta & Subs). This joint’s food is absurdly good! ***** Salvatore Pizza, Pasta & Subs, 1550 West 84th Street, Hialeah, Florida 33027, (305) 821-7016. First told you guys about Salvatore Pizza on November 10, 2014- hadn’t been back until last night’s “drama” dinner with Mrs. Jeff Eats, Daughter Jeff Eats and Son Jeff Eats. 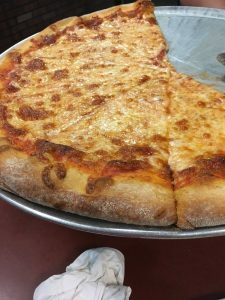 Why such a long hiatus between visits?- Salvatore Pizza’s Hialeah location and Jeff Eats’ Boca Raton abode aren’t exactly “next door” to one another. Why the “drama”?- As I’m sure it’s the same with your family- That’s the $64,000 question! Long story short, this joint’s food is off the chart delicious. You live, you work, you play in Salvatore Pizza’s neighborhood- you gotta give it a shot! Got a real good one for you…Salvatore Pizza, Pasta & Subs in Hialeah. Jeff Eats and a couple of buddies recently had lunch at Salvatore Pizza and I gotta tell you, I loved the joint. When you check Salvatore Pizza’s menu at salvatoreinhialeah.com, you’re gonna find the expected full-boat of appetizers/pizzas/pastas/subs/salads/calzones-stromboli/entrees/desserts. Jeff Eats and Buddies Jeff Eats ordered…veal parm sub (8″-$9), meatball sub (8″-$7), large plain pizza (16″-$11), calzone ($13) and I-must tell you, Salvatore Pizza killed it! No fooling here, everything was delicious. Now, you guys know that Jeff Eats really isn’t into lists or rankings, but the- calzone stuffed with ricotta/mozzarella/romano cheeses definitely deserved a special shout-out! So- HELLO CALZONE!! Nothing fancy going on at Salvatore Pizza. Solid and I do mean SOLID pizza joint stuff. Like I said 4 seconds ago, Jeff Eats loved Salvatore Pizza. The perfect Jeff Eats’ lunch…red sauce galore, loads of Coca Cola, good friends, plenty of napkins and no Mrs. Jeff Eats’-drama… bitching about- how I was stuffing my face, hadn’t taken a “lactose” pill and how I would be up all night gagging from indigestion. Salvatore Pizza, Pasta & Subs is open Monday-Thursday 10am-10pm, Friday-Saturday 10am-11pm, Sunday noon-10pm. Beatles, Simon & Garfunkel, The Beach Boys, The Hollies and the Bee Gees. This contest started on 2/14/19. This contest has a winner. * Win A $20 Pizza District Gift Card. Jeff Eats got a $20 Pizza District Gift Card for one of you guys! The $20 Gift Card is good at Pizza District, 6919 Southwest 18th Street, Boca Raton, FLorida 33433, (561) 961-4163. You guys can check menu/prices/info at pizzadistrict.com. Posted on August 20th, 2018. ***** Pizza District, 6919 SOuthwest 18th Street, Boca Raton, FLorida 33433, (561) 961-4163. Got a real good pizza joint for you guys to checkout- Pizza District in Boca Raton. The Skinny- the joint opened about 3 months ago, table/hi-top/counter seating, menu of reasonably priced- pizzas/salads/calzones/wings/subs/garlic rolls/beers/wines, open Monday-Thursday 11am–10pm/ Friday–Saturday 11am-11pm/ Sunday noon–10pm. Last night, Jeff Eats and Mrs. Jeff Eats gave Pizza District a shot and I gotta tell you that the joint killed it! 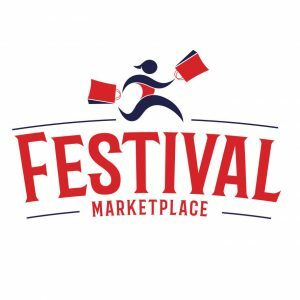 Absolutely delicious thin crust pepperoni pizza/ garlic rolls/ chicken parm sub/ Greek salad! 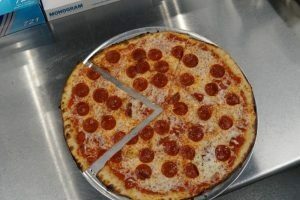 Let me wrap this tale up by telling you guys- that Pizza District’s delicious food/ pleasant service/ reasonable prices/ cool looking “steel” decor/ easy going vibe- spell winner in Jeff Eats’ book! 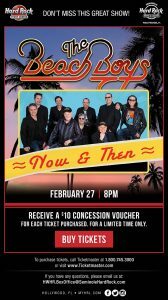 Just got this e-mail offer- $60 tickets for $30! Trust Jeff Eats on this one, this guy Bennett is absolutely amazing! 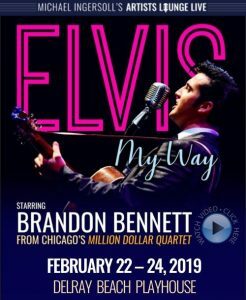 ELVIS: MY WAY STARRING BRANDON BENNETT – The electrifying Brandon Bennett (Chicago: Million Dollar Quartet) does the impossible, delivering a spine-tingling Elvis tribute that is fresh, powerful, and right on time. With his pure-bred southern charm, powerful voice, and scandalous moves Bennett was named the “Ultimate Elvis Tribute Artist” by Elvis Presley Enterprises at Graceland. His must-see show traverses Elvis’ career: from the Rock n’ Roll nativity of the 50s, to the iconic comeback television concert of the 60s, to the legendary lounge acts of the 70s. All-time great hits include “Blue Suede Shoes,” “Can’t Help Falling In Love,” “Suspicious Minds,” and many more. ABOUT THE ARTIST: BRANDON BENNETT – ELVIS MY WAY stars highly acclaimed Elvis tribute artist, the electrifying Brandon Bennett. Brandon appeared as Elvis Presley in Chicago’s long-running, smash-hit musical MILLION DOLLAR QUARTET. Previously, he starred in the Montreal company of THE ELVIS STORY. His spine-tingling act can also be seen in festivals, cruises, commercials, and casinos across America. Television appearances include THE LATE SHOW WITH DAVID LETTERMAN and THE ROSIE O’DONNELL SHOW. A native son of Ponchatoula, Louisiana, Brandon’s southern roots, God-given talent, and natural resemblance to The King of Rock ‘n Roll allow him to uniquely evoke the unmistakable essence of Elvis’s charm onstage. He has been honored to sing alongside music legends such as The Jordanaires, DJ Fontana, and The Sweet Inspirations, as well as open for Diamond Rio, Ronnie Millsap, and Chuck Berry. Brandon’s uncanny performances have earned numerous accolades, including the prestigious “Ultimate Elvis Tribute Artist” title bestowed by Elvis Presley Enterprises at Graceland. Yolk, 5570 North Military Trail, Boca Raton, Florida 33496, (561) 300-4965. Yolk is a breakfast/lunch- joint that opened something like 3 weeks ago in Boca Raton. For the record, Yolk currently has 8 locations in Chicago, 3 locations in Indianapolis, 1 location in Fort Worth, 2 locations in Dallas and the aforemtioned Boca Raton location! You can check menu/prices/locations/info at eatyolk.com. Yolk is open 7 days a week 7am-3pm. Last week Jeff Eats and 3 buddies- ate breakfast at the Boca Raton location (which has indoor booth/ counter/ table seating and outdoor table/ counter seating) and I gotta tell you that the only difference between the Titanic and Yolk is that the Titanic had a band!-(I know, overly dramatic!). In a nutshell- amateurish service, big time mediocre over-priced food! Rather than go into detail and color about our meal- trust me when I tell you that the joint batted 4 out of 4- with each of us rating the food and service lousy. Just so you know where I’m coming from, my waffle with fried chicken and scrambled eggs had absolutely (and I do mean, absolutely) no taste whatsoever- when the chicken was then “foolishly” topped by me with the gravy side, it was so horrendously salty- that the entire dish then became a totally inedible disaster! Look! Jeff Eats is a pretty easy going guy, but I just hate when I get rolled! The bet here, is that the guy(s) who owns (I’m thinking that the Boca Raton location is a franchise-or operating partner type deal) isn’t gonna be a happy financial-camper with this Florida venture! The joint’s lousy location and the area’s piss poor demographics are a story for another day! Now, you guys and I both know that Jeff Eats could be dead wrong on “this” call- you know, what I like, you might hate and vice versa…with that in mind, if you have already tried/ or do decide to try Yolk- I’d be interested in your respective thoughts! 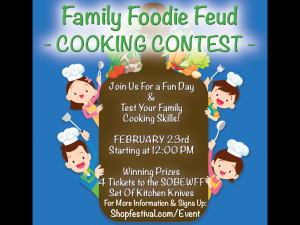 * Family Foodie Feud Cooking Contest. Guess who’s gonna be one of the judges?